Posted on 30 April 2016. 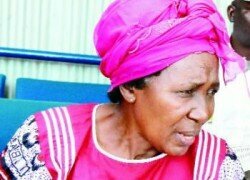 UPND’s insistence to have the August general elections ballot papers printed in South Africa when the Electoral Commission of Zambia (ECZ) has not completed the tendering process could suggest that they are agents of printing companies in that country, Vice President Inonge Wina has said. She was responding to UPND Kabompo West MP Ambrose Lufuma, who wanted to know why ECZ and the Government were insisting on printing the ballot papers in Dubai. But Ms Wina said the ECZ had not chosen any company to print ballot papers for the August general elections and that those who were accusing Government of directing ECZ to print in Dubai were wrong. 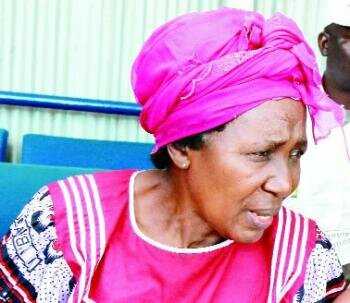 She alleged that those insisting on ECZ awarding a tender to a South African-based printing firm before the tendering process was completed could be agents of such company. “Mr Speaker, I didn’t know that we have agents of the South African printing companies in this House,” Ms Wina said. Ms Wina’s observation sparked chaos in Parliament as tempers flared particularly those of opposition UPND MPs who felt offended by the Vice President’s remarks. Mazabuka UPND MP Garry Nkombo rose while pointing his finger at the Vice President as he protested the allegation. “It is not right! You cannot say that!” Mr Nkombo complained on top of his voice. intervened and asked MPs to stop debating emotional issues relating to the August general elections. Dr Matibini said the issues pertaining to where the ballot papers should be printed were not supposed to be discussed in Parliament because they had the potential to cause chaos in the House. He said the topic was emotive in nature. As such, it should never be discussed in Parliament because there were other avenues available to address such matters. Dr Matibini also explained that there was no law which mandated him to preside over such a matter as it was outside his jurisdiction. But in her earlier response, Ms Wina said the Electoral Commission of Zambia (ECZ) had not settled for any company after completing the evaluation process last week. “ECZ has not chosen any company yet,” Ms Wina said. The ECZ has held on to the awarding of a ballot printing tender after some bidders objected to the preference for a Dubai-based company to print ballot papers. This was after the ECZ gave a 10-day notice to other bidders to raise objections if any on the decision to award the Dubai-based company to print ballot papers for the August 11 general elections.